The hosts were easy to contact and accommodating. Provided all the necessary equipment for the baby. Miguel even ordered us pizzas as we were late arriving and there is no where nearby to eat! The villa was very clean. Plenty of fresh towels. The pool was nice. Plenty of sun loungers. Appropriate facilities, only missing an oven in the kitchen but easy enough to manage without it. Lovely for a family. I booked 2 of the villas for my 40th Birthday for 12 of us. 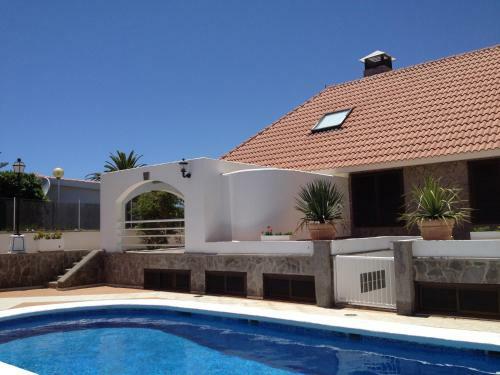 The villas were perfect, Laura was a great host and answered any queries immediately. For example I emailed Laura to say we needed an iron and it was delivered by the cleaner less than an hour later. 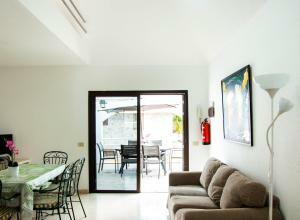 The villas are spacious, clean and well stocked with everything you need. The pool area is fantastic with plenty of beds for all. The terrace in front of each villa is a great space and was used constantly by us for eating, drinking, playing cards etc. Although the basement space is fantastic we never actually used this. The local mymart supermarket is open until 21.15 which is a few minutes walk away and catered for all of our needs. We were almost always able to hail taxis as we walked down the road past the supermarket, which was pretty good seeing as there was 12 of us. We actually made a reservation to visit again next year as we were so delighted with the villas. Very spacious and good outside area. Table tennis area a bonus. The house was big, with several rooms and a shared pool ( a little cold). 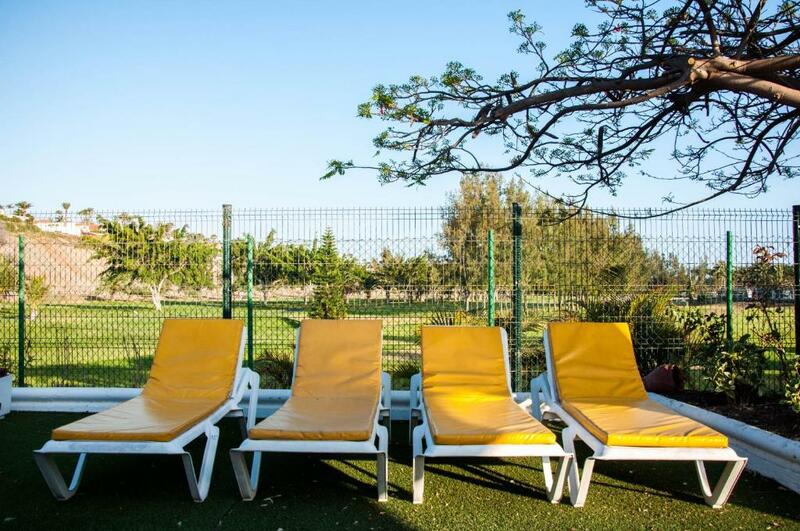 Lots of sun beds, chairs and table on the private terasse. Sunny terasse and nice surroundings. 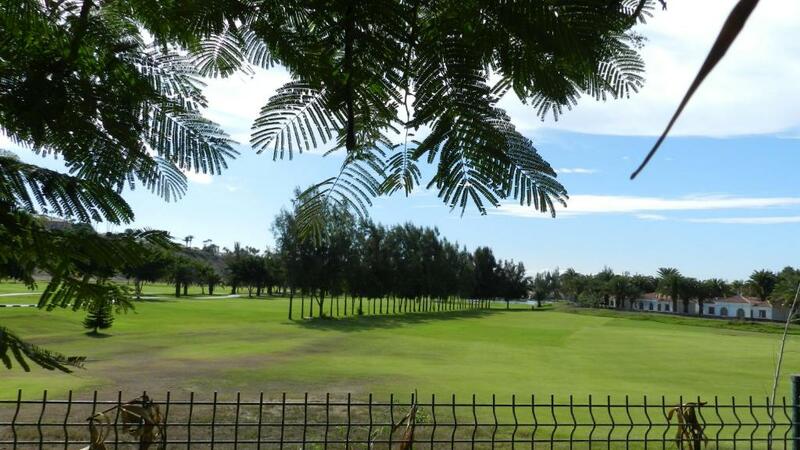 Close proximity to the Maspalomas golf court. Nice view over the golf court from our house. None. Very disappointing. Not worth for the money. The children were very happy with the table tennis and it was very safe. It was also comfortable. 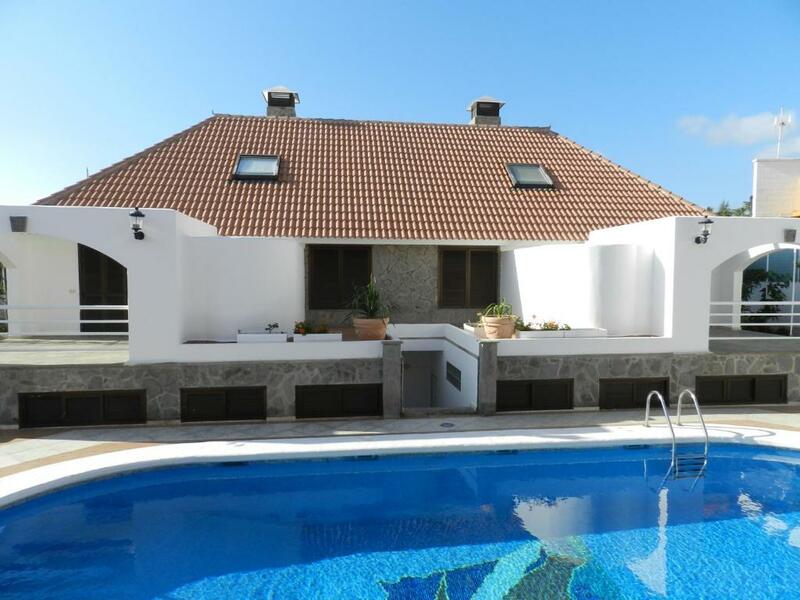 Casa amplia com piscina, mesa de ping pong y con cocina equipada, lugar tranquilo, bueno para pasar dias con amigos. Villas Las Almenas This rating is a reflection of how the property compares to the industry standard when it comes to price, facilities and services available. It's based on a self-evaluation by the property. Use this rating to help choose your stay! One of our best sellers in Maspalomas! 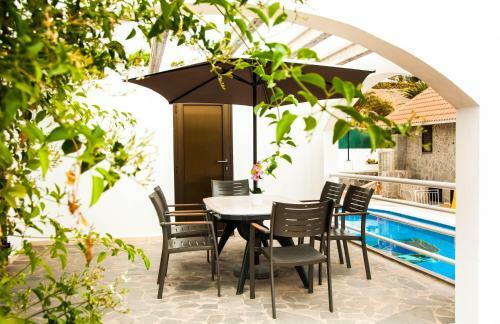 Villas Las Almenas offers 4 villas set in gardens around a shared outdoor pool. Located next to Maspalomas Golf Course, the villas offer free parking and are a 40-minute walk from the beach and dunes. 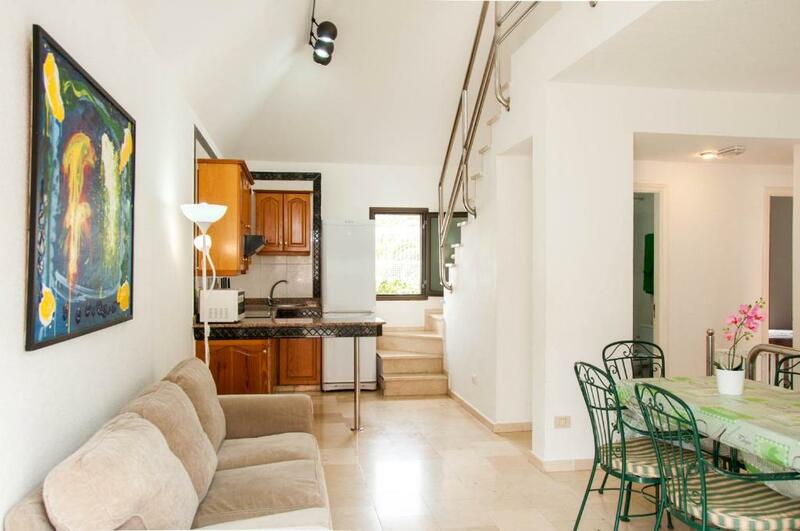 Each villa has a private sun terrace and 2 bathrooms with a hairdryer. The living room comes with a sofa, satellite TV, CD and DVD player. There is a fan and laptop safe. Wi-Fi is available for an extra cost. 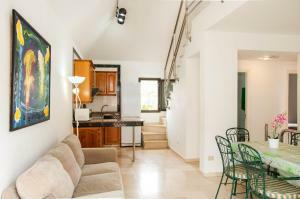 The well-equipped kitchenette includes fridge, microwave, coffee maker, toaster, kettle and washing machine. You will find a supermarket nearby and the lively Meloneras Center, with its shops, bars and restaurants, is a 5-minute drive away. You can play table tennis. When would you like to stay at Villas Las Almenas? Set in gardens, around a shared outdoor pool, this villa has a private sun terrace and 2 bathrooms with a hairdryer. The living room comes with a sofa, satellite TV, CD and DVD player. There is a fan and laptop safe. 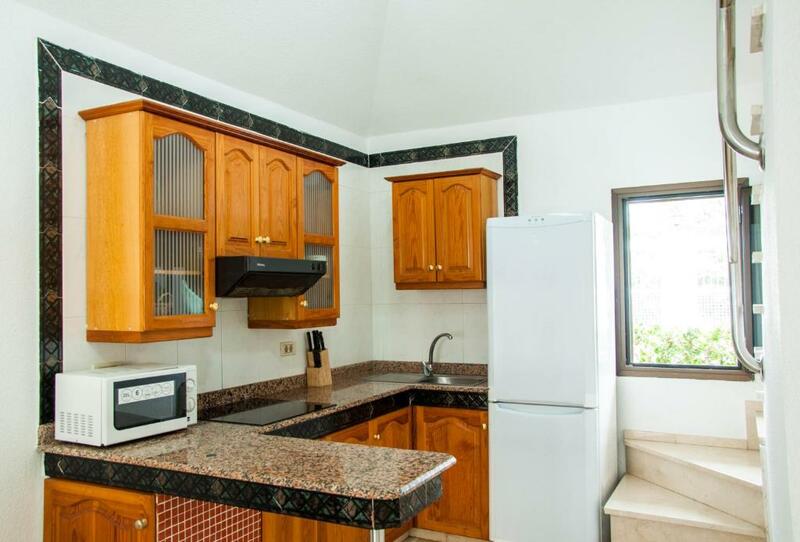 The well-equipped kitchenette includes fridge, microwave, coffee maker, kettle, toaster and washing machine. House Rules Villas Las Almenas takes special requests – add in the next step! Please inform Villas Las Almenas of your expected arrival time in advance. You can use the Special Requests box when booking, or contact the property directly using the contact details in your confirmation. A damage deposit of EUR 100 is required on arrival. That's about 112.44USD. This will be collected as a cash payment. You should be reimbursed within 7 days of check-out. Your deposit will be refunded in full by bank transfer, subject to an inspection of the property. The only thing really missing is the lack of somewhere to perhaps cook pizzas, and the facilities to have a BBQ. Not the fault of Laura or the Villas but local taxis really struggle to find where the villas are located. We tired saying the names of the larger resorts next door and opposite but more often that not they had no idea where we were going and we normally had to direct. Uncomfortable single beds, Upstairs room open concept so noise a real issue, both from inside and outside the property. dirty bedding and table linen. broken sofa, old sleeping beds. location is satisfied. No double bed. The advert is misleading about the distance from the beach and we have not been compensated for this as requested, we have a child with special needs. The accommodation itself was fantastic. Beds were extremely hard. Kitchen didn’t had an owen and Wine glasses. The house is from the eighties and slight well used. Many of furnitures were well used and kitchen doorknobs loose. There was a washing machine but there was no place to hang. The beds whernt comfy at all, we couldn’t sleep at all. no double bed all single we where 4children and two adult, one bed was broken. The place was quite big but not wortht the money I payed €1150 for6 days I could find better place. It was a further out than the description allows you to believe. A long walk to amenities such as bars and restaurants. Too far to walk to the beach when it's hot. However taxis are reasonable and there is a local bus service. It shouldn't out you off but be prepared to be far out. stained bed linen; broken umbrella outside to table; very dirty not clean properly; broken shower curtain; shower head did not fix on wall properly; squeaky fridge door; beds not comfy; loose fittings on walls; place needs a refurbish with equipment overall very cheap tables chairs and beds overall owner wants the money but does not keep place up to a good standard let alone luxury!! plenty of other places to stay for next time!